I have just returned from a trip in Holland and Belgium, dearest Mildred. I spent a day with Stoclet in Brussels. Did you know that he was burgled a few months ago? Some 50 objects were stolen, all of gold—all his Pre-Columbian ornaments and a lot of barbarian, Scythian etc. No trace of the thieves. They were after gold and gold only, and didn’t touch anything else, so they have doubtless melted it all down. Stoclet is undaunted, and continues to buy gold. What do you think? You remember Andronikos’Little is known about the Istanbul antiquities dealer Andronikos. enamelled cross and other objects,The pieces included an enameled cross, two enameled “jewels,” and a ring; they were acquired by Adolphe Stoclet. See also letters of January 5, 1928; April 29, 1928; May 10, 1928; and September 12, 1928 . Precisely which enamels came from Andronikos is not easy to ascertain. 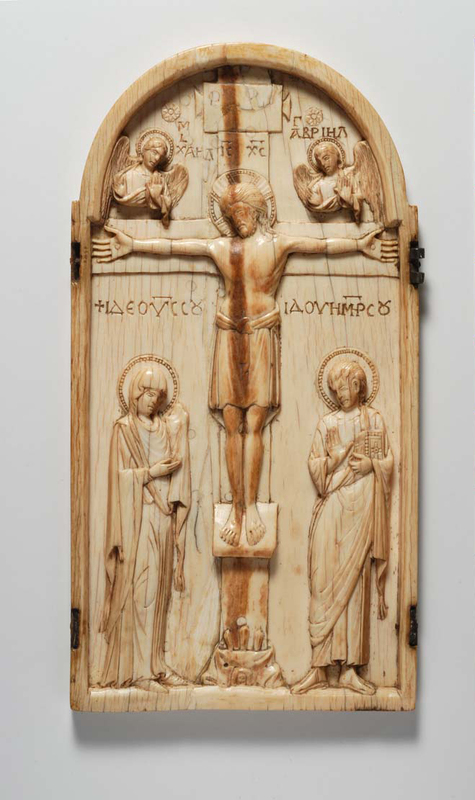 The cross is possibly the enameled reliquary cross from the Stoclet Collection now in the British Museum (M&ME 1965, 6-4, 1). which I proposed to you 2 years ago? Stoclet has them, and he paid £7500 for them: the cross, the little jewel, a smaller jewel and a ring. I had hoped to get them for less than a quarter of that sum—but Stoclet didn’t buy direct from Andronikos. I didn’t say anything about the Rosenberg saleSammlung Marc Rosenberg (Berlin: Hermann Ball and Paul Graupe, 1929). See letters of October 12, 1929, and November 8, 1929. to Stoclet, and he didn’t mention it to me; I fear for the same reason. If he goes there, I expect he’ll gobble up what we want, for his appetite for Byzantine seems to be whetted to a point where he’ll pay anything. He has bought a big Byz. enamel plaque, Our Lady enthroned with the Child, and two angels.This enamel plaque has not been identified. 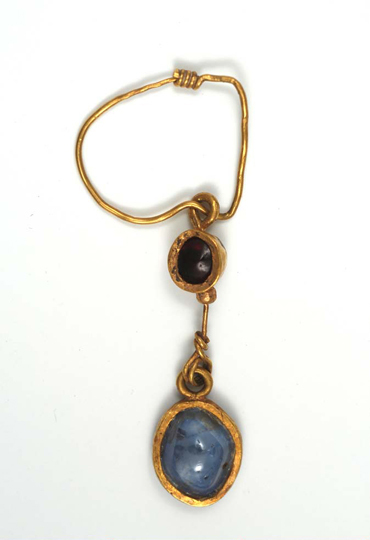 There are no similar Byzantine enamels in Jules Pierre van Goidsenhoven, Adolphe Stoclet Collection, vol. 1 (Brussels: Published under the direction of J. P. van Goidsenhoven, 1956) or Catalogue of Medieval Works of Art . . . From the Collection of the Late Adolphe Stoclet (London: Sotheby, 1965). There are the usual 11 Byz. enamel colours, but they are all absolutely opaque, except for a dark emerald translucent green, and the drawing, though effective, isn’t first rate. I suspect the thing to be Caucasian, and pretty late—XIIe or so, perhaps later. Stoclet is enraptured with it, and says he paid a big price. One wonders what that can mean, as he didn’t seem to think £7500 for the Andronikos lot out of the way. The other day, Georges Salles and de Lorey came to see me, all dressed up and very solennels,“Solemn.” and said they wished to ask me something, my reply to which would be decisive for a great plan they were turning over in their minds. 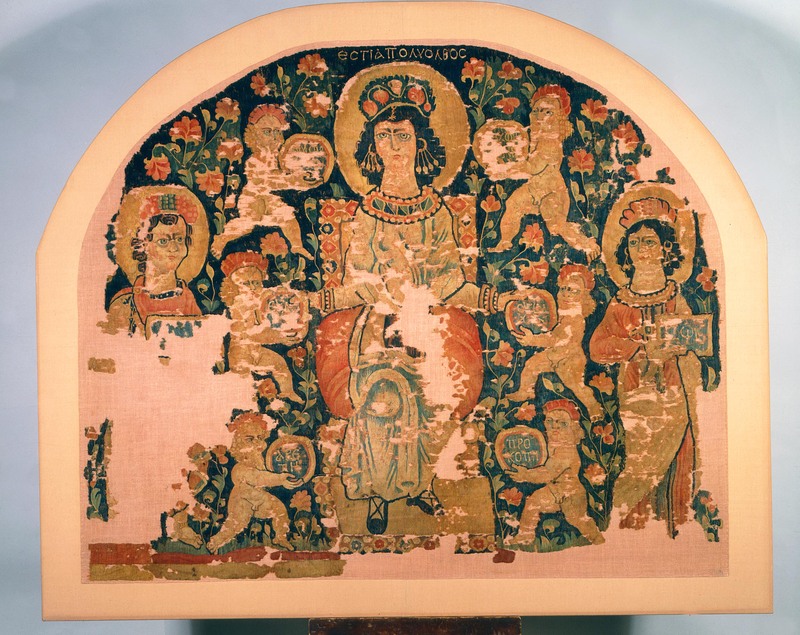 Would I support them in a Byzantine Art Exhibition, to be held in the Spring of 1931 at the Arts Decoratifs?Exposition internationale d’art byzantin, 28 mai–9 juillet 1931 (Paris: Musée des arts décoratifs, 1931), I told them I would, and they went off to approach Metman about the local. We are to have a preliminary meeting here, just Salles, de Lorey, Hayford and I, as soon as Hayford and I return from Spain (Barcelona), about Nov. 11. Of course it may not come off, but if it does it will be fun. Don’t speak of it, please, except to Robert, until you hear from me that it is settled. I think Hayford and I will be able to do pretty well what we like. If it does come off, dearest Mildred, I implore you to let us show your Byz. tapestry, the recent acquisition. You will, won’t you? And of course the Riha patten [sic], and the ivory, and the jewels. 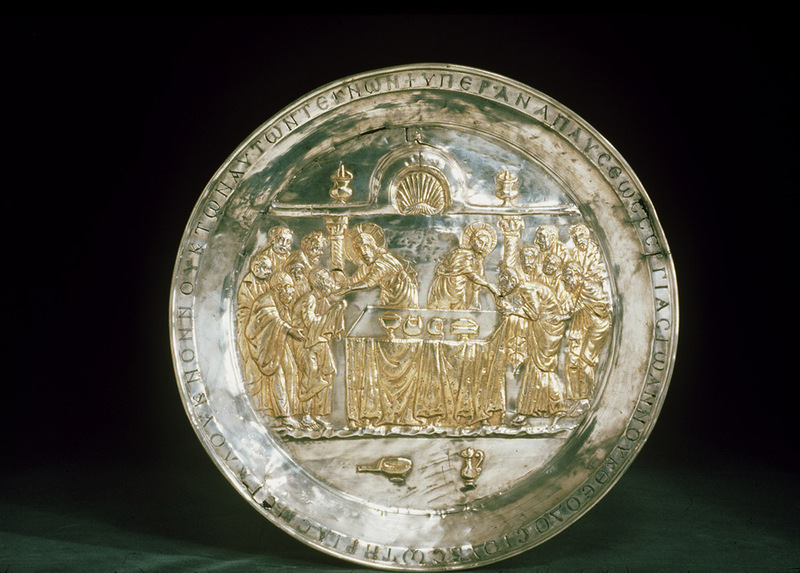 It will be a far, far finer show than this Dark Ages affair we’re trying to do at the Burlington,Art in the Dark Ages in Europe (circa 400–1000 AD), an exhibition at the Burlington Fine Arts Club, London, in 1930. See Reginald A. Smith, “Art in the Dark Ages,” The Burlington Magazine for Connoisseurs 57, no. 328 (July 1930): 3–10. where I think the mistake has been made of getting too many museum people on the Ctee. I fully expect to find the thing arranged in imitation of the British Museum. No news, especially. Mme. ErreraIsabelle Errera (née Goldschmidt) (1870–1929), an art historian and collector of ancient textiles. is dead, and has left all her textiles to the Cinquantenaire.Musées Royaux du Cinquantenaire, Brussels. I saw Durazzo,The Marchese Carlo Durazzo (1879–1930), the Italian ambassador to Belgium. who had just had all his windows broken, and had only barely the time to get them mended for the Pr. of Piedmont’s arrival.Prince Umberto of Savoy, Prince of Piedmont, who arrived in Brussels on October 23, 1929, for the official announcement of his engagement to Princess Maria José of Belgium. I also saw GranvilleGeorge Granville, 3rd Early Granville (1872–1939), the British ambassador to Belgium between 1928 and 1933.—Lady G. was away. I hear that the Durinis, from Bpest,Count Ercole Durini di Monza, the Italian ambassador to Hungary. are for Buenos Aires. They are good souls, excruciatingly dull, both of them. You’ve heard about Aldrovandi’sLuigi Aldrovandi Marescotti, Count of Viano (1876–1945), an Italian diplomat and ambassador to Germany between 1926 and 1929. In 1929, Aldrovandi left his post as ambassador to Germany and became Italian minister of foreign affairs. misfortunes, I expect. This is too long already, but I can’t resist the temptation of telling you about Morin,Giuseppe Morin (1879–1965), general manager of the Banca Italo-Britannica in Rome. the Italian General Manager of the Rome branch of the Banca Italo-Britannica, who recently, it was found, had gambled away the entire capital of the bank.See Geoffrey Jones, British Multinational Banking, 1830–1990 (Oxford: Oxford University Press, 1993), 133: “Unfortunately the corporation in London lost control of what was being done in Italy, and by 1926 ‘irregularities’ occurred in the Banca Italo-Britannica. In 1929 rumours about the bank’s standing led to crisis. In January 1929 the Bank of England was advised that, if the Banca Italo-Britannica did not find £2.6 million within a week, it and the British Italian Corporation would have to go into liquidation.” In order to hide his tracks, Morin used to pass his gains and losses through the accounts of depositors in the bank, choosing people he believed to be at a safe distance. One day, an impecunious Wop diplomatist, on leave from Tegucisigalpa, say, blows into the bank and asks about his account, expecting to be told he had a balance of 73 lire. He was told that he had $300,000 to his credit, and, without the quiver of an eyelash, he said he’d draw out the balance, and did. Bill is doing excellently, and we’re going soon to send him to Austria, if we can find the right place for him, or otherwise to Italy.For William Royall Tyler’s trip to Austria following his illness, see letters of September 18, 1929; October 12, 1929; December 28, 1929; February 10, 1930; and March 6, 1930. Eric HambroSir Charles Eric Hambro (1872–1947), a British politician and chairman of Hambros Bank. still intends to leave for B-A.Buenos Aires. in Jan. I shall go with him to Madrid and Lisbon, but there I shall have to turn back.